One of the reasons that we haven't heard much about Americans in the Panama Papers scandal is because they don't need to go to Panama. We have Delaware. It's not illegal for the Clinton's to use a on-shore haven to dodge taxes, but it's their usual hypocrisy to do so while promising to go after other millionaire tax dodgers. 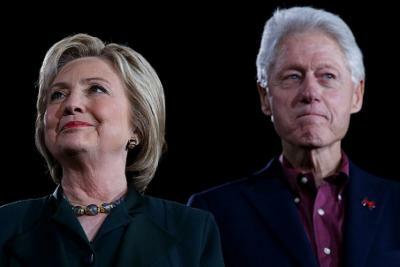 The Clintons and their family foundation have at least five shell companies registered to the address 1209 North Orange Street in Wilmington, Delaware — which is also home to some 280,000 other companies who use the location to take advantage of the state's low taxes, limited disclosure requirements, and other business incentives. Two of the five are tied to Bill and Hillary Clinton specifically. One, WJC, LLC, is used by the former president to collect his consulting fees. The other, ZFS Holdings, LLC, was used by the former secretary of state to process her $5.5 million book advance from Simon & Schuster. Three additional shell companies belong to the Clinton Foundation. There is nothing illegal about the Clintons' decision to take advantage of Delaware's tax laws. However, on the campaign trail last week, Hillary Clinton criticized the "super-rich" who use "outrageous tax havens and loopholes" to pay fewer taxes.